We launched our ACE Lab Blog over a year ago, and now we have a huge number of articles with helpful data recovery tips and detailed description of different issues that a data recovery engineer may face. 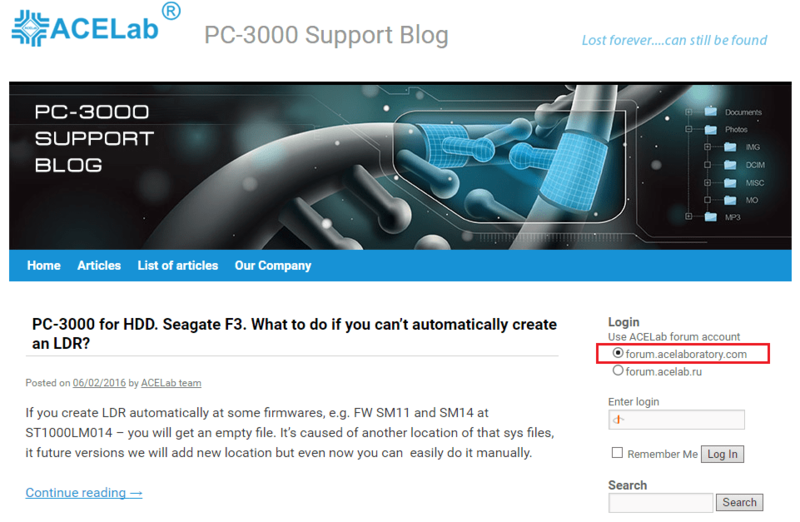 Many of you agree that the ACE Lab Blog contains exceptionally valuable information for the PC-3000 users. 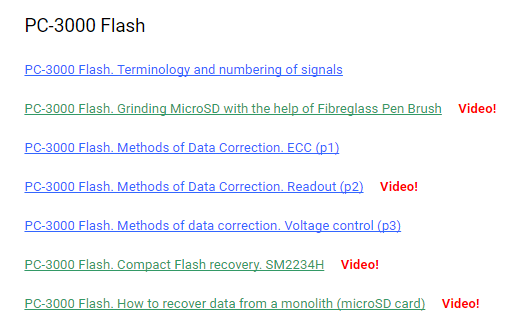 Supporting the PC-3000 Owners in mastering the best data recovery techniques, we make our Blog open only for the official PC-3000 Owners. Starting from the 6th of July, 2016, only the official PC-3000 Owners can get access to all the information in our Blog. The Blog becomes partially closed for non-registered users. The login and password will be the same for the Forum and for the Blog. We are happy that you have found our Blog useful and worth visiting. We will continue to publish interesting materials and latest PC-3000 news every week! P.S. If for some reason you still have no account at our Forum – please fill in the registration form. To activate your new account, we will verify your PC-3000 serial number and your company email. So please don’t forget to provide the correct information during registration. Otherwise, your new account will not be activated. P.P.S. In case of any troubles with authorization – please, contact ACE Lab TS. This entry was posted in Articles, Data Extractor, PC-3000 Flash, PC-3000 HDD, PC-3000 SSD, Video and tagged Articles, Blog, PC-3000. Bookmark the permalink.